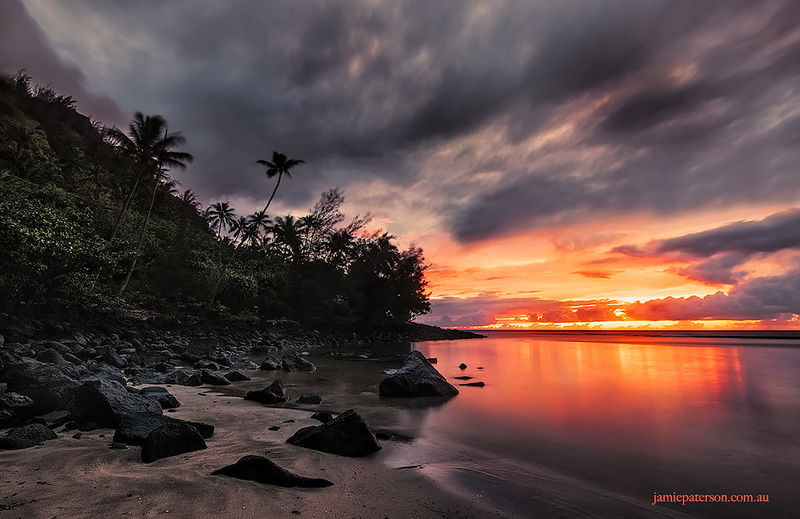 This is Ke’e Beach in Kauai. Its right at the beginning of the Na Pali coast and its divine. This beach is as far as you can get to by car on the North Shore of Kauai and it really does feel like you’re at the end of the road. It’s quite, serene and relaxing with everyone just sitting by the foreshore watching the sun setting and contemplating their lives. Quite a few times after the sun has set I’ve stayed behind and jumped in the water and just floated in the water, soaking up the zero gravity feeling in such an amazing place. I’m sure I could go here for the rest of my life and never get sick of it. Do you have a place like that at all? One that you can keep returning to and never get bored of it?